Sailing through the storm, I need to die to feel warm. Combining Copenhagen, Denmark’s electronic scene and inspiration from Reykjavik, Iceland’s lush landscapes is Kúra (which translates as “caress”). 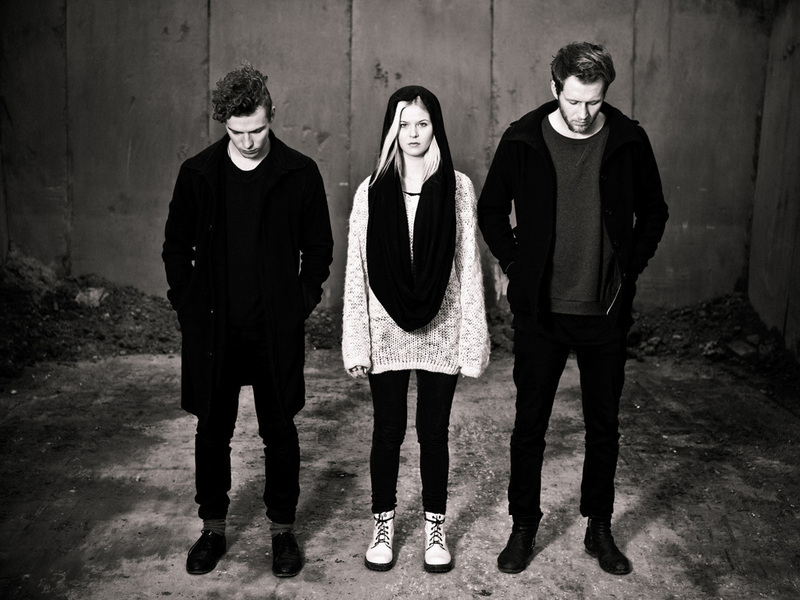 The band consists of DJ/vocalist Brynjar Bjarnfoss, vocalist (and Bjarnfoss’ cousin) Fanney Ósk Thórisdóttir, and synth-player/guitarist/vocalist Rasmus Liebst. It all started in the summer of 2009, initially with just Brynjar and Fanney, in a small backyard in Reykjavik. Together the two cousins united to create a dreamy electronic sound with elements of dub, spiced up with gracious vocals. The family-duo released their debut EP “Multicolor” In December 2010, with remixes by Max Cooper (UK) and Lulu Rouge (DK). By December of that year, their song “Gogo” became an underground hit, racking up over 350,000 views (between their original version and the Lulu Rouge remix) on YouTube. In late April 2011, Kúra were awarded with “Best Electronica Act” at the Danish Underground Music Awards in Copenhagen. That summer, they also had their music featured several times at Copenhagen’s Fashion Week. The following year saw the release of their debut LP entitled Halfway To The Moon. The ten-song LP showcases Fanney’s voice resting on the chilled, rumbling electronic production of Brynjar and Rasmus. It’s the epitome of big city, Nordic melancholy, and the temptation of darkness from subterranean nightclubs. The album’s ten tracks show off Kúra’s knack for minimalistic, yet utterly evocative, electronic music. Songs like “Joe” (the album’s opening track) and “Anchor” are both rhythmic and spacious, bringing to mind the vast and majestic Scandinavian landscapes. “Follow Your Heart” is a dark club-banger, this time with male vocals brought to the forefront, while “Invisible” is the album’s shortest and simplest track, but arguably one of the most stunning. If Kúra’s debut album is anything to go by, this is one group you’ll want to keep an eye on.